Ahi poke made with yellowfin tuna, green onions, chili peppers, sea salt, soy sauce, sesame oil, roasted kukui nut (candlenut), and limu, served on a bed of red cabbage. Poke /poʊˈkeɪ/ is a raw fish salad served as an appetizer in Hawaiian cuisine. 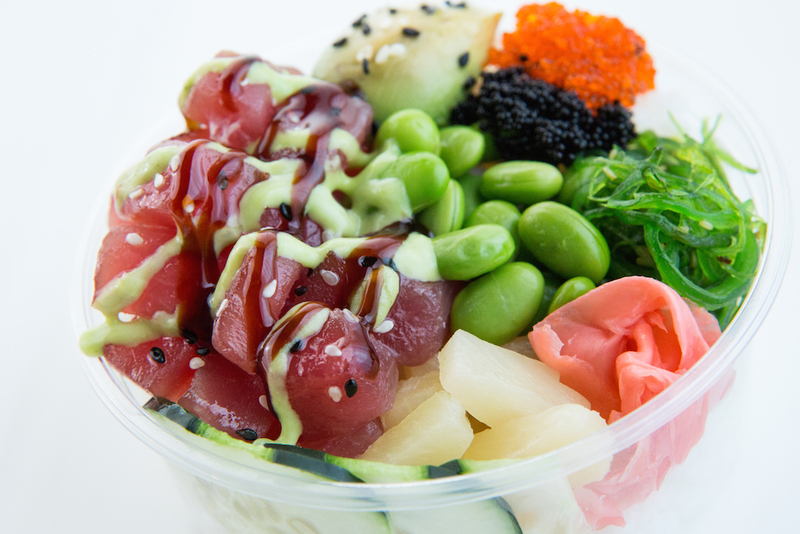 Poke is the Hawaiian verb for “section” or “to slice or cut”. Now, if you think that doesn’t sound like the tastiest thing on God’s green earth, then you’re a damned fool. Because it’s delicious. 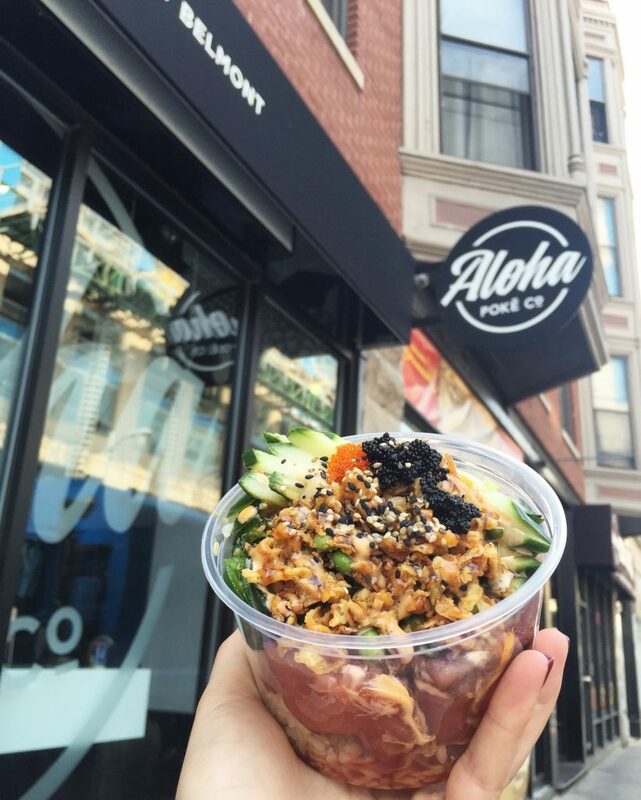 And Aloha Poke (843 W Belmont Ave, Chicago, IL 60657) nails it. Just NAILS it. You go to Aloha Poke and wait in a nice long line, because it’s popular and worth it. You make decisions like brown rice vs. white rice, your choice of protein: salmon (nah) or tofu (hell no) or tuna (that’s the one) and a plethora of toppings like jalapeño, ginger, edamame, maui onion, pineapple, the list goes on. You select from one of the many excellent sauces. I like Samurai or Volcano. Or you can go with one Aloha’s house creations. I recommend the “Crunch” if you go that route (jalapeño, cucumber, scallion, edamame, tobiko, crunch, spicy aioli, Samurai Sauce). You shovel the numerous textures and flavors into your mouth with a giant grin on your face. You don’t ever want to eat anything else.